World Food Day is observed on the 16th of October each year. This day is celebrated to honor the date when the Food and Agriculture Organization of the United Nations was founded in 1935. It is also recognized to raise awareness about hunger, as well as encourage the public to take action is to help eliminate world hunger. 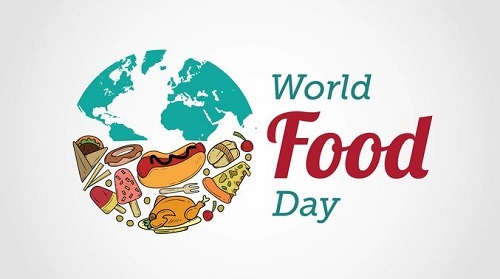 The World Food Day is celebrated by organizing food drives and distributing free meals for the homeless and less fortunate. If you have the heart to participate in this holiday, here are some of the ways you can take a stand against hunger and make a difference. If you think taking photos of your sumptuous meals and uploading them on the social media is meaningless, then you have been thinking wrong. By sharing photos of your meals, you are also literally sharing your food. All you have to do is to download FoodShareFilter or Feedie. Both applications were designed to help fight global hunger. Every time photos of food are shared using the app, the restaurant donates a meal to an organization called the Lunchbox Fund that provides meals for orphaned children in South Africa. Food scarcity and insecurity affect people living in poverty and those who have limited access to healthy and fresh food. Help make a difference by volunteering in your local urban garden. Address hunger by getting outside, by connecting with people, and by distributing fresh produce to people who need it most. There are plenty of local events you can participate in if you want to help fight hunger in your community. Search World Food Day USA on Google to find some ways you can help. There are plenty of volunteer opportunities: packing meals for the homeless, walking for hunger, or helping out in a soup kitchen to name a few. No matter how big or small, your efforts will make a difference. However, you help out will be valuable for the nourishment of those who are in need. So serve your community by giving your time and efforts. In different parts of the United States and throughout the world, a school lunch or breakfast may be the only full meal a student eats in a day. 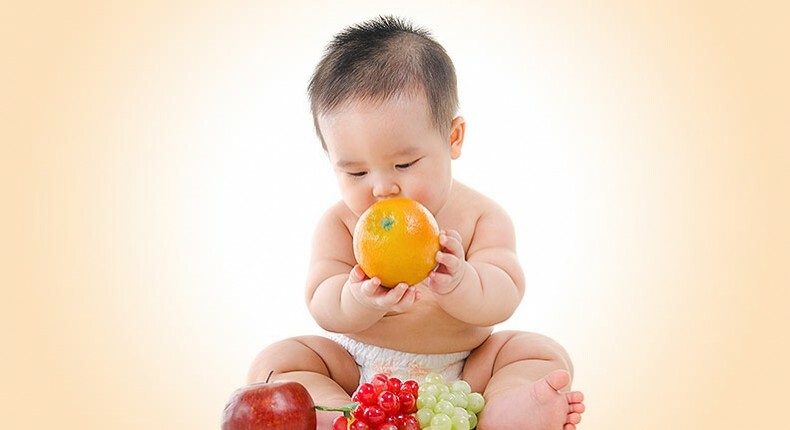 The sad part is that these meals do not always contain important nutrients a child needs for growth and development. By improving the quality of food at schools, children can enjoy better health and improve their academic performance. Did you know that by treating yourself with your favorite food at your favorite restaurant, you are also making a difference in the world’s problem with hunger and food scarcity? So go ahead and invite a friend for a meaningful and sumptuous meal. As soon as the check arrives, donate the cost of your meal by joining the #HungerFree movement. This movement is organized to help fight hunger in South Sudan, Kenya, and many other parts of the globe. If you are looking for other ways to participate in World Food Day, you can visit foodday.org and enter your zip code to find an event near you. It doesn’t matter which event you choose, whether you dine or donate, the important thing is that you are helping spread awareness. You are also encouraging people to join the fight against hunger. Food scarcity and hunger may seem to be overwhelming global problems. 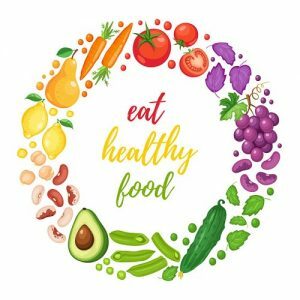 But if we all decide to take action, even in our little ways, and become advocates for health and food, we can all make a difference to make this world a better place. Being an integral part of the food supply of many countries, a world without potatoes is unimaginable! This month, we have more reasons to take in our favorite vegetable and make wonderful recipes because September is National Potato Month! 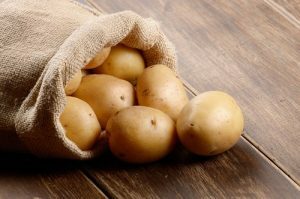 To help you get started, here are some great potato recipes that you can make at home to celebrate National Potato Month with the entire family! Chicken and Potato Pot Pie is an excellent meal for when everyone’s already starving and you’re running short on time. It is a fast and easy comfort food for both kids and adults alike. The following are the ingredients you need. Directions: Cut potatoes in half lengthwise and the chicken breast should be cut into small cubes. Mix the potatoes, vegetable, chicken, soup and a soup can of water together in a 1-quart microwave-safe dish. Top the mixture with pie dough. Brush the dough with egg. Microwave for 20 minutes or until chicken and potatoes are completely cooked. Directions: Prepare your oven and preheat it to 350 degrees F. Cut the potatoes into cubes and boil it for about 30 minutes until tender. Drain and mash the potatoes for 5 minutes while allowing steam to escape. Then add the cream cheese, butter, cream, half-and-half, roasted garlic, salt and pepper. Mash and mix them together. Once done, spread the potatoes into a large baking dish and leave a slice of butter at the top. Bake for about 30 minutes or until heated thoroughly. Potato Salad Cha Cha Cha is going to be your next family’s favorite potato recipe. Why? Because aside from offering a good mix of flavors, this recipe is also healthy. So, without further ado, here are the ingredients and steps to make this dish. Directions: Cook potatoes in 2 inches of boiling water for 12 minutes or until tender. Once cooked, drain it and allow to cool. Meanwhile, whisk together the rest of the ingredients in a large bowl. Add salt if desired. Twice baked potatoes is a recipe that your family will surely love! It features an explosion of flavors including fresh green onion, crispy bacon bits and gooey cheddar on top of hollowed out potato halves. Check the list of ingredients below. Directions: Preheat your oven to 400 degrees F. Rub the potatoes with canola oil and place them on a baking sheet. Bake for an hour or until they are well cooked. In a large mixing bowl, place slices of butter in and add the sour cream and bacon bits. Then, remove the potatoes from the oven and reduce the heat to 350 degrees F. Cut the potatoes in half lengthwise. Scrape out the insides and add them in your mixing bowl. Make sure not to tear the shell. Then, place the hollowed out potato halves on a baking sheet. Meanwhile, mash the potatoes into the mixture of butter, bacon and sour cream. Then add milk, cheese, seasoned salt, green onions and black pepper. Fill the hollowed out potatoes with this filling and top each potato with more cheese. Pop them into the oven for 15 minutes and they’re ready to eat! Now that you have these exciting potato recipes, you’re on your way to having a blast this National Potato Month! So, what are you waiting for? It’s time to get messy in the kitchen and enjoy a wonderful meal with the family! June has been proclaimed as the Great Outdoors Month. This is a perfect time to share the glory of nature with your child! There are so many distractions these days competing for your child’s attention. Gadgets, video games, the Internet, you name it, they’re all out there. And you know, once your child gets their hands on any of it, they give it their undivided attention. There’s nothing wrong with exposing your kids to technology. But too much of anything can negatively impact your kid, physically, socially and emotionally. What is alarming though, is how children spend so much less time outside the home and seldom interact with kids their age. (Sometimes, they don’t even talk to their own parents!) Technology is creating a reclusive generation who’d rather spend time in front of a mobile phone or a computer monitor. Even recess has been reduced or eliminated at many schools, further reducing the time spent outside. Want to prevent this gloom and doom horizon? You can, if you manage how your kids use technology. Giving them interesting alternatives such as exploring the Great Outdoors tops the list. If you have limited time because of work, look into having your child attend a child care program. There are child care centers that offer outdoor activities in their curriculum. The US is well known for its majestic outdoors. Go explore some of it! Kids can learn a lot from actual, experiential discovery. Going camping, fishing, or just playing catch in a neighborhood park? Being outside gives you and your child the opportunity to be one with nature. Imagine your child responding to a live butterfly flying above her head, instead of watching some video about insects on the web. It’s amazing to see your child discover new things about nature. Better yet, you’re there to teach your kid about nature itself! Ask the director of the child care center your kid is attending if they offer any of these outdoor activities and how you and your kid can make the most of it. Child care centers often align their activities with the Great Outdoors Month celebration, by including field trips to parks and other outdoor activities. And most centers need and appreciate volunteers to join them on these field trips, so ask how you can help! Spending quality time with your kid this month while being out in nature is a wonderful and enriching experience. Your child is guaranteed to enjoy endless opportunities for adventure, recreation, and renewal of family ties. There’s no denying taking long walks outside can result in long lasting and far reaching health benefits. Nature offers an opportunity to explore and get active while strengthening our bonds with family. Spending time with your kids outdoors is also beneficial to your own mental health. It’s a wonderful stress reliever especially if you work in an office all day. Hiking, biking, and climbing can help relieve you of the stress that you deal with on a regular basis. People who love the great outdoors or any kind of outdoor activity usually do well at group work. Outdoorsy folks improve their social skills over time and they do so while learning how to effectively work with others. Imagine what it will be like for your kid. Encouraging your kid to enjoy nature also gives them important skills, such as team building and problem-solving skills. These will be extremely valuable when she grows up. Believe it or not, people who spend more time outdoors are more productive in their job and personal life. Kids who spend more time with friends playing in the park tend to show more IQ and EQ than those who spend more time tinkering with their gadgets. They are more motivated to get involved in activities and they bring this “grit” to solve life’s riddles and challenges. By exploring the world, kids develop a deep appreciation of nature. Teaching your child about nature opens their eyes to how important and interconnected the environment is. Talk to your child about simple, but pressing, environmental issues of the day and teach her how she can make a big difference in her own small way. Besides, big changes take place with small steps. 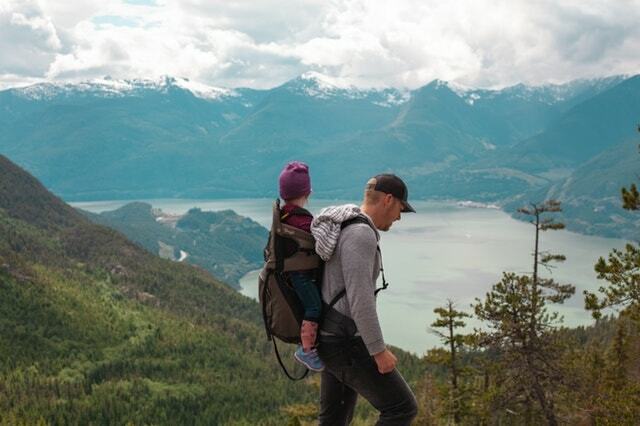 Last, but certainly not least, exploring the great outdoors with your kids can bring great value to local and small businesses in your area. Every time you go out to enjoy nature, you contribute to your local economy’s coffers. The Great Outdoors Month of June is a time for everyone to share what nature has to offer. It helps heighten your child’s understanding of nature and their place in it. Plus it’s just a great place to relax in! You and your child won’t want to miss any of the action packed, energy filled and educationally amazing activities happening during The Apple Tree Learning Centers Summer Camp! So click on the links below to see what is happening! How Can Infant Care Lead to a Bright Future? Many parents wonder if preschool is actually a necessity. It’s a difficult process finding the right infant care center and the costs are far from cheap. According to Facts for Life, a child’s brain develops rapidly in his or her first five years. This is a period when they learn fundamental skills for life. These skills include motor, emotional, social, cognitive, and linguistic skills. In fact, a child’s brain grows to 90% of its adult size by the time the child is five years old. If that hasn’t convinced you, here are five reasons other to invest in infant care. There is more freedom in infant care than a traditional school setting. As a result, children will be able learn the necessary social skills to interact and communicate with others. They will also learn how to express and manage their emotions which are essential skills they’ll need to succeed as adults. Many parents report that this helps with separation anxiety and improves communication. This sets the stage for a more positive parent-child relationship. Kindergarten becomes academic quickly. That’s why it’s helpful to teach children pre-math and pre-literacy skills. You can see the difference in the performance of elementary school children that have received this education. To find a school that will will prepare your child for kindergarten, look for a Tucson preschool or Tucson child care center with great teachers and teaches art and sports for a well rounded education. The motor skills your child develops in an early age will give them a strong foundation. This foundation will help them excel in things like sports, dance, and other physical activities as they get older. There is a lot of cognitive learning happening when it comes to physical activity. 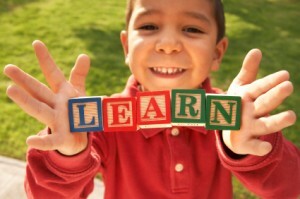 The cognitive skills your child learns will benefit their formal education. You will find that good Tucson infant care centers incorporate structured physical activity into the curriculum. Many infant care centers understand the importance of physical activity in a child’s development. Some infant care centers have early level sports programs. These programs teach the fundamentals of sports. In addition, they teach skills like team work, sportsmanship, following rules and staying organized. 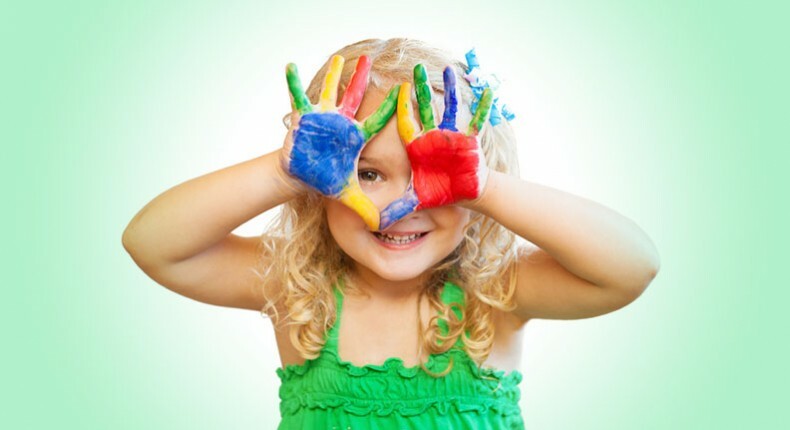 Many infant care centers have programs that foster creativity in children. Most Tucson infant care centers will use activities like drawing and using building blocks as creative outlets. However, there are others that introduce a wide range of creative classes from music, painting to writing and acting. 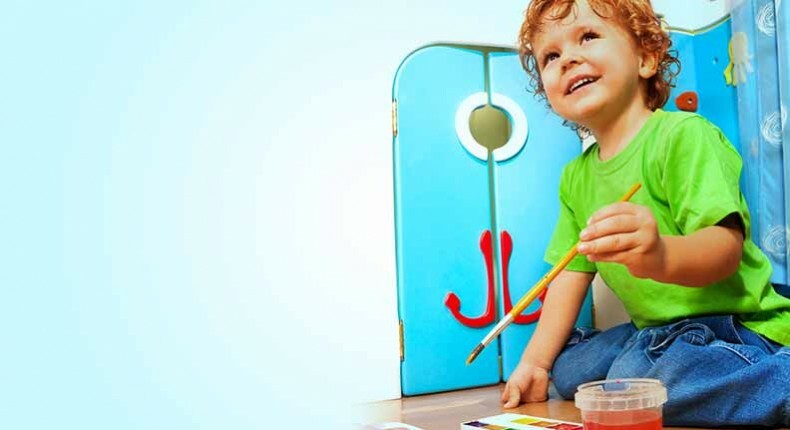 This will expand your child’s horizons and open up many channels for your child to express and create all kinds of art. If you are looking for a Tucson infant care center that places an importance on developing creativity, do your research. Look for a center that has culture that cultivates creativity. For example, do the teachers encourage creativity? 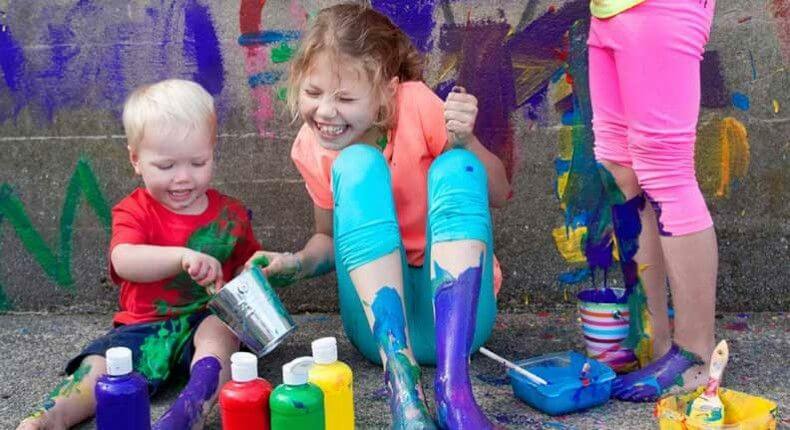 A creative infant care culture will give space to allow for creativity without any restraints. At the same time, providing a structured education for learning art. Structure is an important part of academic success. Your child will learn how to stay organized, follow directions, and set schedules. These skills will prepare them for elementary school and beyond as it translates to every level of their schooling. Parents often find that their children become more manageable as they learn these skills. What’s great about preschool education is that it doesn’t feel structured and emphasizes having fun. Under the right Tucson child care programs, you won’t have to worry about your kids getting bored or feeling frustrated in a strict setting. Look for signs that your child or other kids in an infant day care or preschool are not responding well to the curriculum. That can often show that the child care center may not be the right fit for your family. If you’re looking for an outstanding infant care center, come visit The Apple Tree Learning Center. 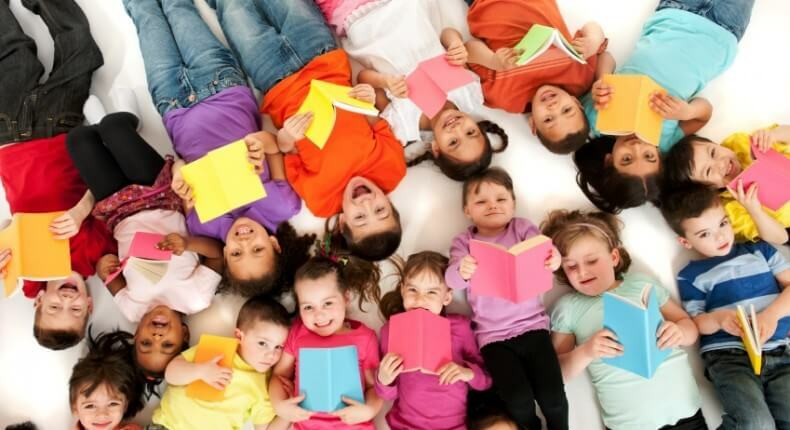 Our center has age appropriate curricula for infants, toddlers, and prekindergarten children. Because we have both before and after school programs, our center is a flexible and affordable infant care choice. Schedule a visit today and get in touch with us. Summer Camp Programs for Summer Fun! Summer is coming up fast. Soon your child or children will be out of school and ready to soak in the warm summer weather and all the awesome activities it brings. 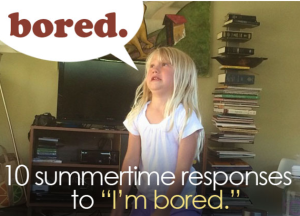 However, experience may remind you that after a few weeks of summer fun the “I am bored” complaints begin. Good news! Summer camp programs can keep them busy and give you a break. On top of the boredom that can accompany the long, sweltering days, is your need of good childcare for your little ones while you are at work. Child care summer camp programs can solve both of these issues. Summer camp for your child can give you a break from 24 hour care and gives your child fun and exciting things to do. Let’s take a look at some of the great benefits of summer camp! 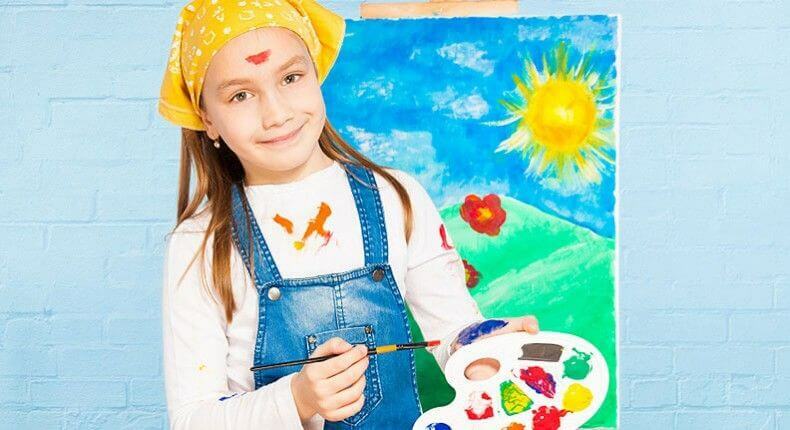 Say Goodbye to Boredom with Summer Camp Programs! Summer is a time to learn outdoors! 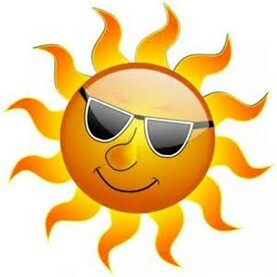 As the novelty of the summer weather wears off and kids get bored, they can often become fixed to their computer and video games and end up spending a good portion of the summer indoors. For us who spent a lot of our summer vacation outdoors exploring, playing and having fun, seeing our children stuck to the screen for hours on end makes us worry that they are missing out on being a kid! Summer camp and other summer programs offer your children fun and engaging activities that will get their body moving, mind thinking and curiosity piqued, and it allows them to be a kid again! Summer camp and summer programs are a great way to teach kids that not all learning happens in the stuffy classroom. While at summer camp, kids will soon discover that real learning can mean dirty hands, wet clothes and exploring nature. Summer camp can teach your child outdoor skills and will allow them to experience mother nature’s classroom to the fullest. Along with structured activities to get a child’s mind thinking and curious, summer is the time for free, unstructured play and exploration. Summer camp allows kids to relax away from the classroom and explore their interests. Summer camp will give your child the ability to explore their inventiveness in play, problem solving and learning. Banish the boredom with summer camp! Summer camp not only brings kids to nature and great activities. It also brings kids to each other. 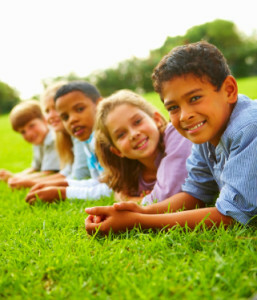 Summer camp activities are designed around group learning and problem solving. 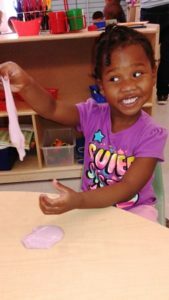 They learn to cooperate with other children, share resources and participate in group learning that prepares them for both the classroom and the real world. Summer camp gives kids the opportunity to make choices and decisions as individuals away from their parents. Whether it is a day camp or overnight camp, the time at summer camp is spent learning to be themselves. If your children are bored during the summer, they sure won’t be here! The summer programs at The Apple Tree Learning Center are sure to keep them busy having a good time. Let us help you discover that you have what it takes to be a kid with character! Caring, Honesty, Respect, Responsibility… these are the important skills and values you will practice and learn through fun activities, service learning projects and team building activities during summer camp! Come check out our summer program and contact us today! We look forward to hearing from you! Before classrooms, desks, notebooks, before writing even, there was play, games and sport. Parents have always intuitively understood that play and games are good ways for their children to learn about the world. Indeed, that was the way they learned a great number of things. And now science and modern theories of education are finally starting to catch up. Learning games for kids are, more and more, seen as a legitimate way to teach a young child. Even biologist and animal behaviorists have noted that nearly every mammal on the planet learns to sharpen their instincts for survival through play and games. Why should humans be any different? We aren’t that different. We humans obviously have different priorities, though. Learning games for kids, toddlers and infants are divided into two main categories: intellectual and cognitive skill games and socialization games. Of course, there is some overlap, but it doesn’t erode the differences. Learning games for kids, including preschool age kids, which flex their cognitive and intellectual abilities are usually of the board game type or are the interactive computer game type. Games like puzzles, shape and image mapping games work out their spatial and memorization skills. Computerized math games can add a layer of fun and excitement to an otherwise bland subject. Most of these games are single player and teach the child to not only get the correct answer, but to see it through to a reward or goal. There are a number of great online games of this type that you can use at home to hone your child’s reading, math and spatial and memorixation abilities. Check out some of these great learning games for kids that can keep them occupied on a rainy day. Children learn a number of social skills in a supervised free play environment. Allowing them to use their creativity and imagination with other children teaches them to respect others and coordinate activities. Structured games are also a great way to improve their social skills. Games such as the name game, in which one child is given a ball in a group of children and then asked to say the name of the other person before rolling the ball to them, teach children the importance of identifying others by name, a critical social skill. Games like Simon says and red light green light teach children impulse control and how to follow directions and rules during play. 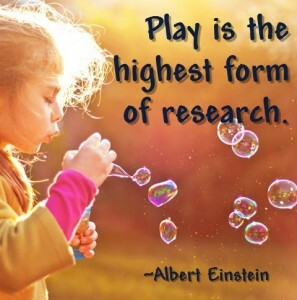 The Apple Tree Learning Center Believes games are vital to learning. At Apple Tree Learning Center, we believe in the power of learning games for kids, free play and socialization activities to prepare your child for a future of learning, laughing and loving. 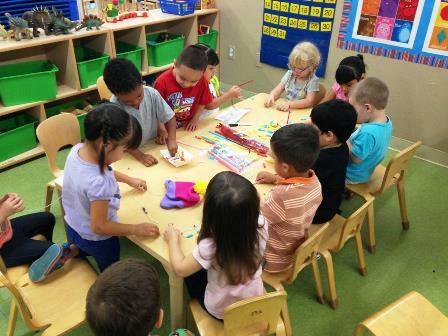 Our preschool childcare programs incorporate games into the early childhood education curriculum. And our nurturing and experienced early childhood education staff are dedicated to fostering a lifelong love of learning in your child. The Apple Tree Learning Center also has an excellent set of extra curricular programs, including a dance, Spanish language and a music education program. Stop by and visit us or contact us online today! We look forward to hearing from you! Why Is Childcare So Important? Group activities help children in so many ways! Researchers found that attending any pre-school, compared to none, predicted better results at GCSE overall, and higher grades in GCSE math and English, as well as the likelihood of achieving five or more GCSEs at grade A to C.
Further analysis carried out by the Institute of Fiscal Studies shows that children who attend pre-school will be $26,800 better off over their working lives, or around $36,000 for an average household. This was calculated to equate to a benefit to the Exchequer of $16,000 per household. 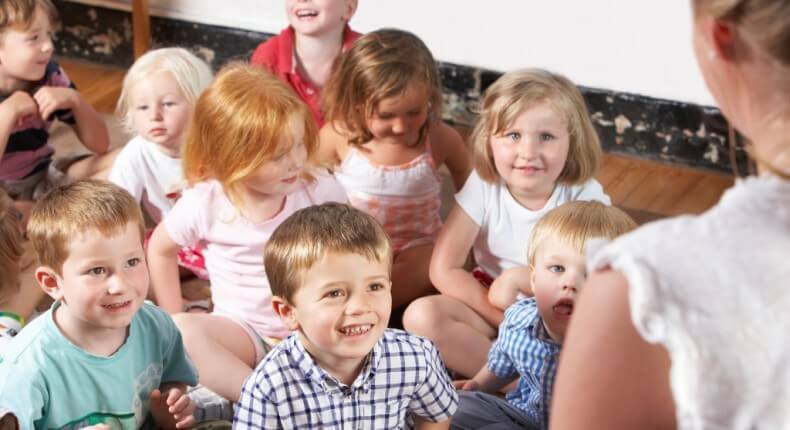 The quality of pre-school is particularly important for children whose parents had low qualifications. 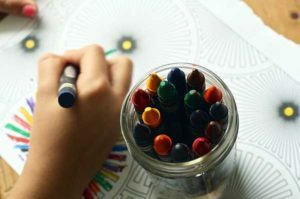 The longer children spent in pre-school the higher their GCSE grades, with those who had spent two to three years in pre-school – whether part-time or full-time – achieving higher GCSE grades overall. Boys, in particular, attending a medium or high-quality pre-school achieved ‘significantly higher’ grades in math GCSE, than those in lower-quality or not attending pre-school. High quality pre-school is linked to better self-regulation, pro-social behavior and lower levels of hyperactivity. Positive parenting and especially ‘a more stimulating home learning environment’, especially for young children, helps to promote better outcomes. The Apple Tree Learning Centers, like other early learning programs, is important for children who receive little to no stimulation at-home. Furthermore, the researchers also suggest that in addition to early learning programs, children may benefit from programs designed to help parents boost at-home stimulation for their children. Childcare was seen as a luxury and now it is a necessity. It is a necessity for both the child and the parents. 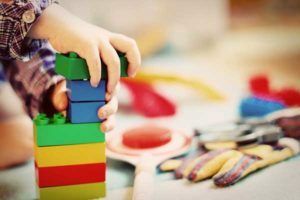 Of course we know that childcare is the place where we drop off our children and we go to work, but it has become a key element of the physical growth and educational growth of the children. The High Reach curriculum that The Apple Tree Learning Center provides, helps students learn to use rhythmic speech in movement multi-tasking exercises. This helps them develop fluency in speech and movement. As students engage in the rhythmic movement exercises, they must listen and respond, on-time, to alphabet and number prompts. The use of rhythmic speech in High Reach curriculum exercises helps students hear the sequences of phonemes in words and requires them to elongate and over-enunciate consonant and vowel sounds.